Since early 2013 we have been distributing version 1.50 to selected customers, gathered their feedback and suggestions, and the result here: VB Migration Partner 1.51 is now ready. There are tons of improvements in this new release, but the most important one is surely full-featured C# code generation. While our competitors are compatible with the C# language found in Visual Studio 2008, we decided to focus on C# 2010, which allows us to support modern C# features were not available in earlier language versions, most notably the dynamic type and optional parameters. These two single features, together with the many enhancements that only VB Migration Partner offers, let our users to create the most efficient and readable code a VB6-to-C# converter can possibly generate. Each of these features (and of the many features that I didn't mentioned) would require a separate discussion, and I will surely devote some posts to the most interesting ones. 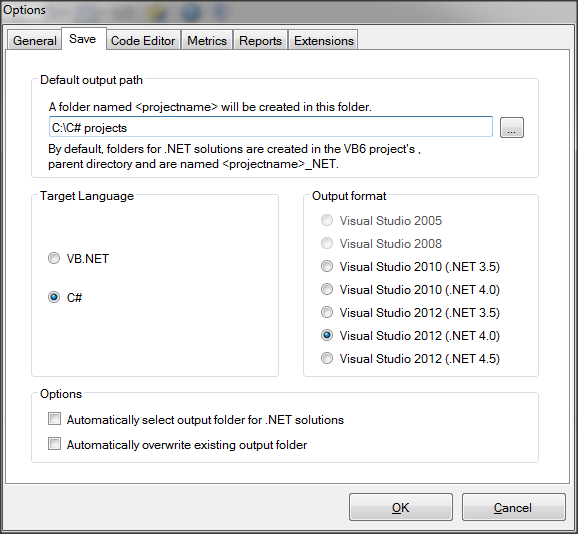 For now, you can learn more about C# specific support here.